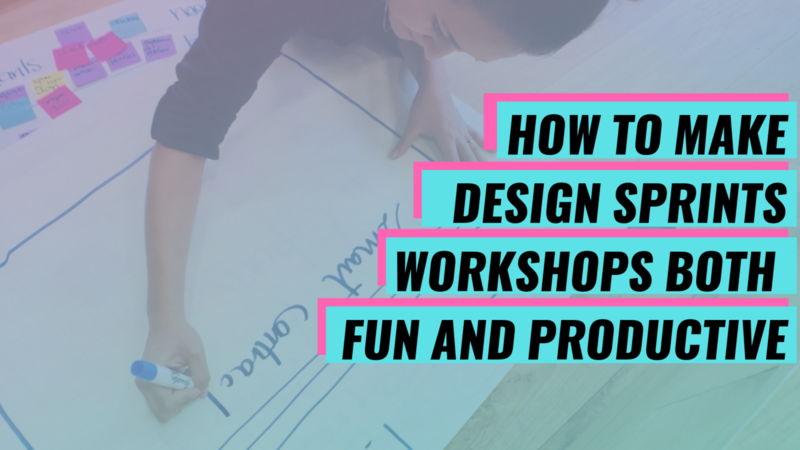 What are design sprint workshops? How can these hands-on workshops help lawyers? When is the right time to schedule one at a Law firm? These are questions I receive all the time when it comes to Legal Design Sprints and Workshops. So I decided to outline the guidelines I recommend to make Sprints and Workshops both fun and productive. To illustrate the guidelines, I will use as an example the fastest Design Sprint Workshop I conducted in just 90 minutes (add an extra 30 minutes for presentations), at the Legaltech Fest MX organized by Legal Hackers Monterrey (Mexico) to develop new legal service delivery models. Facilitating a 90-minute Legal Design Sprint at the Legaltech Fest MX in Monterrey, Mexico. To produce the best possible results in the shortest time possible, I highly recommend three guiding principles for any Design Sprint Workshop. What's the critical task you are trying to get done and need help with? It always starts with the problem. Usually, it's a problem that has been unresolved for some time and requires a new approach, and possibly the assistance of a skilled facilitator to overcome it. A problem can be as complex as solving access to justice issues as it was the case in the 90-minute sprint I facilitated in Mexico, or more practical as redesigning contracts to make them a tool for collaboration, or more specific as redesigning provisions to make them visually attractive, or as broad as onboarding the law firm into an innovation culture. 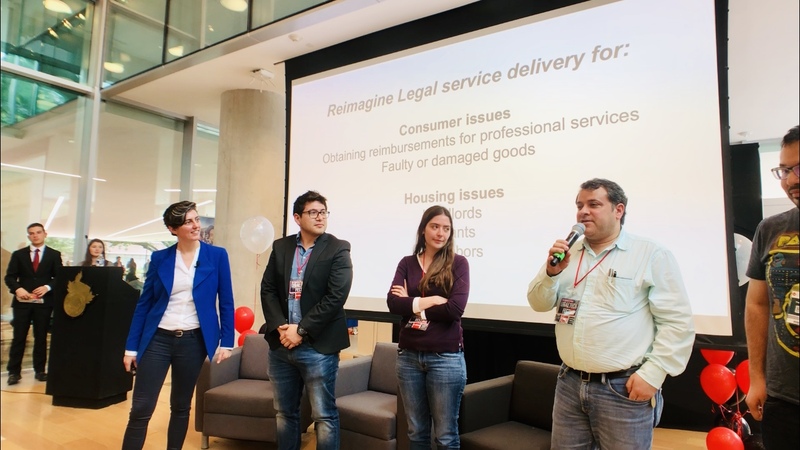 In the example of our 90-minute Design Sprint Workshop, we decided to work on most pressing access to justice issues for civil matters (Consumer and Housing) and aimed to develop new legal service delivery models. What outcome do you want to get? Any workshop should be designed to achieve an outcome. It's an important component to have an outcome driven workshop as it makes it easier to convince senior management to support the process, and it boosts motivation for participants. Failing to set an outcome, it may be difficult to motivate participants to engage in the process and difficult to evaluate the effectiveness of the workshop. Outcomes can be prototyping a new tool, redesigning a contract template, or as broad as developing creative abilities amongst team members so they are better equipped to drive innovation internally. In our example, we hoped the design workshop would help get at the very least 5 prototypes that have the potential to be viable products in the future. If a problem is of critical importance and remains unresolved, this means this is the right topic and the right time to schedule a Legal Design Sprint Workshop. Whenever an issue is on the agenda for at least 3 meetings and progress is not very impressive, then this is likely a very good topic too for a hands-on workshop. At Legal Creatives, we believe in using simple yet powerful creative techniques and apply them within the Design Thinking methodology. It's the perfect combination to ensure participants perform well in the Design Sprint and Workshop and move forward faster than expected in the sequence of activities we design. Creative Problem-Solving Techniques: Formulate one or more challenges that are part of the problem being tackled using the formula "How Might We ... ? "; Generate ideas making forced connexion to overcome the blank page; Set criteria for judging potential solutions. Facilitating the process and giving feedback to support participants in prototyping viable solutions. Design Thinking Methodology: We use a proven innovation methodology to help participants first discover the point of view of all stakeholders and in particular end-users, by researching users' needs, wants and challenges; then formulating their point of view to develop through ideation a desired and viable solution. Using those proven and tested methodologies towards achieving the desired outcomes makes the workshop much more effective, as it also avoids lengthy debates and fosters more productivity. At Legal Creatives, we believe in the power of connexions and we've seen that leveraging the collective intelligence of participants is the best way to conduct a productive and fun workshop. For this reason, we have developed special tricks to avoid participants to debate ideas and instead have participants co-create outputs. We do that in a way that will ensure the group, as well as all and every single participant, fully engage in the workshop to produce the desired outcomes. Having a dynamic sequence and applying timing strickly enable to move forward faster, switching from plenary to break-out sessions, keep things productive. Use visually attractive tools, such as Post-its and markers in every activity allows the flow of creativity to be more flexible and to elaborate more original ideas. I've found that by applying these guidelines, workshops are not just more productive but also more fun. Participants are able to achieve desired outcomes faster, in an environment that is more conducive to creativity. This allows law firms, legal departments, and legal communities to benefit from everybody’s input and use the collective intelligence of the group to go beyond initial expectations.